Mothers take extra care during pregnancy, so their children will be born healthy. They watch what they eat, exercise properly and try to get enough rest. However, there are some things that are outside of a mother-to-be’s control. Accidents are random events and as such are unpredictable. Although there are ways pregnant women can help prevent injury to themselves and their babies, thousands of unborn children die every year due to car crashes. 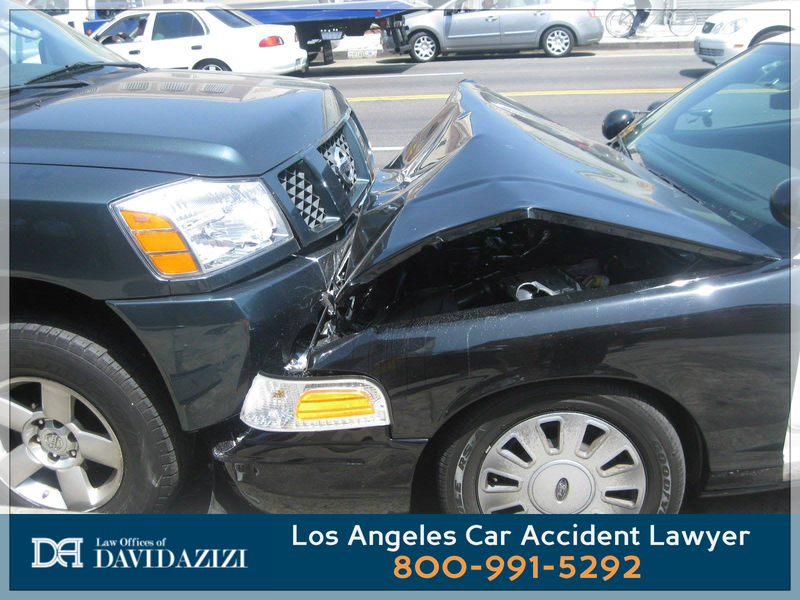 If you need immediate assistance, reach out 24/7 to car accident lawyer David Azizi by calling 800-991-5292. Let’s look at what special risks a mother-to-be and her fetus have when they are in a car accident, how a mother-to-be can protect herself and her baby and the injuries both suffer in car accidents. David Azizi knows that parents do everything they can to keep their children safe. With children of his own, he also understands the trauma the injury or death of an unborn child can cause. As a subject, injury to the mother or fetus is not often discussed. Almost at the outset, automotive manufacturers knew that seat belts did not provide the same protection for a pregnant woman. Yet, even today, no modifications have been made. Because of the paucity of information on pregnancy and car accidents, David discusses the type of injuries both the fetus and the mother can experience as well as providing some helpful tips on what a pregnant woman can do to stay safe. Researchers at the University of Michigan have said that approximately 170,000 car accidents annually involve pregnant women. Out of this number, around 116,000 crashes result in injury to the pregnant mother with 3,500 visits to hospital emergency rooms due to the injuries. This means that approximately 3 to 5 percent of fetuses experience the effects of a car accident before they are born. Car accidents are also a leading cause of death to the unborn child and the mother. Although the exact number is not recorded, it is estimated that approximately 3,000 fetuses die each year from car accidents. Some believe the number is closer to 5,000 fetal deaths annually. Depending on which estimate you use, that is still anywhere from two to 14 deaths daily. Premature birth is another problem associated with vehicular accidents. When the gestation period is reduced from the normal 40 weeks, the chance of survival is decreased according to how early the baby is born. At 25 weeks, for example, the baby has a 67-percent chance of living, providing the birth happens at a hospital with a staffed neonatal unit. Closer to the normal gestation period means less risk for the baby. Some premature babies might remain in the neonatal unit until they are able to survive on their own. This type of care is necessary, yet the cost is well above that of a routine birth. Medical care might also be necessary after the child leaves the neonatal unit due to problems associated with a premature birth. Talking to insurers about an accident is not something that they need to do. Having the assistance of an attorney takes that burden from them. On occasion, a fetus can be injured by the accident. An example is a version of the coup-contrecoup injury the mother may experience, resulting in brain injury. The fetus experiences something like shaken baby syndrome, which can also result in brain injury. This can cause damage to the fetus’s cognitive function. Special care may be needed throughout the neonatal period, childhood or for the rest of the child’s life. The cost of lifelong special care for birth defects can be astronomical. Parents naturally worry about paying for the care or what would happen to the child if financial resources were not present. In such cases, an astute attorney can factor such care into the compensation that the injured mother must receive. The biggest risk for a pregnant woman is the steering wheel. As a woman nears the end of her pregnancy, and for quite a while before, the abdomen grows bigger. Sitting behind the steering wheel with enough space between her abdomen and the wheel becomes difficult. It is recommended that a proper distance be maintained, but this is frequently not possible with a pregnant woman. Wearing a seat belt is necessary. The chance of a fetal injury at 28 weeks due to a crash at a speed under 20 mph has been calculated at 26 percent for females who wore a seat belt and 70 percent for those who did not. However, the seat belt must be worn properly. The lap portion of the belt should never be placed over the woman’s abdomen. Rather, it should be directly over the hips. The use of airbags by pregnant women has been questioned in the past. However, the University of Washington released a study that said airbags should be used by pregnant women due to their ability to prevent maternal injury in a crash. In fact, the university found that the risk of fetal demise, placenta abruption or the need to deliver the baby by cesarean section was not greater if an airbag deployed. The wheel should be at least 10 inches from the mother’s breastbone. If it is too close, the chance of abdominal and chest injury is greater. Tilt the steering wheel toward the chest if possible. Make sure it is not tilted toward the abdomen. Do not dismantle the airbags. Position the chest harness across the chest and to the periphery (side) of the abdomen. In California, if an unborn child is killed in a car accident through the negligence of another person, the parents would not be able to file a wrongful death lawsuit. That is because the state does not consider the fetus a person until the baby is born. However, if the consequences from the accident, such as placental abruption, causes the fetus to be delivered and the baby dies after delivery, the parents may be able to file a wrongful death lawsuit since the accident is seen as the cause of the baby’s death after it was born. If a fetus is injured in a car accident due to negligence and the baby is born disabled, the parents may be able to file a lawsuit for recovery of damages. Alternately, if the fetus dies in the womb due to the accident, the parents may be able to file a lawsuit to recover damages due to the emotional and psychological trauma they are going through. While nothing will bring back a child, either born or unborn, filing a claim against the negligent defendant may help the parents find closure. David Azizi has the greatest compassion for parents who have experienced the death of their unborn child or to see their child face disabilities they would not have had were it not for the accident. In this situation, parents need a compassionate attorney. David meets that requirement. With children of his own, he understands how parents feel. He will take that empathy and apply it to the work that must be done to help the parents. He will leave no stone unturned in investigating the accident, determining fault and making sure present and future financial cost is compensated. 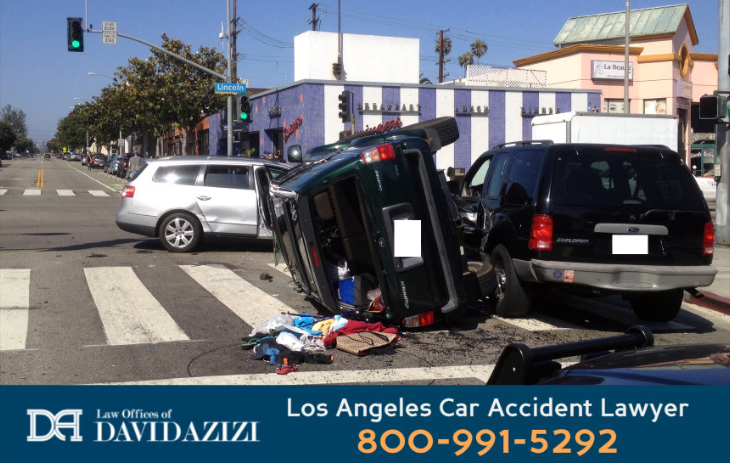 Call 800-991-5292 if you have been in a car accident while pregnant. David will be there for you every step of the way.